Galatasaray are preparing to put their club captain Selcuk Inan on the transfer list. The 30-year-old central midfielder has come under heavy criticism for his performances this season. Inan also received a red card during Galatasaray’s 2-0 defeat to Anderlecht on Wednesday. The Istanbul Giants are hoping to sell the play-maker to a European club however, his high wages could be a stumbling block for potential interested parties. Inan earns €2.75 million per season with an additional €25,000 appearance bonus at Galatasaray. 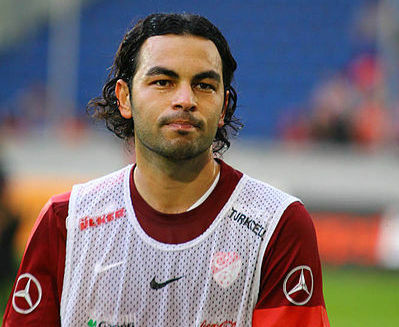 The Turkish international joined Galatasaray from Trabzonspor on a free transfer in July 2011. Inan has made two assists in 15 appearances for Galatasaray this season.